We are company founders first and investor second: we have built companies from the ground up, including PayPal, Facebook, Napster, Plaxo, Palantir Technologies, and Clarium Capital. We have experience from concept to realization, from shared offices to public offerings. Every stage of the company creation process is familiar to us, from finding seed capital, to building defensible products, scaling up the organization, and realizing lasting value for employees and shareholders. Our current investments include Facebook, Slide, Geni, Powerset, IronPort Systems, Zivity, Quantcast, and Project Agape. Our fund is $50 million and we focus on investments in early-stage consumer Internet companies. We typically invest $500,000 - $1 million per investment. 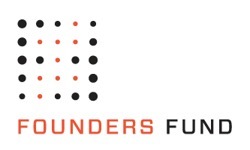 At the end of 2007, we raised $220 million for The Founders Fund II. Facebook, Slide, Geni, Powerset, IronPort Systems, Zivity, Quantcast, and Project Agape. 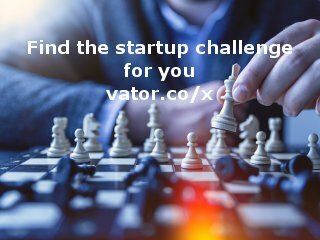 Founders Fund was featured in a VatorNews article: "See how Vator Splash Health 2017 played out on Twitter"
Founders Fund was featured in a VatorNews article: "Mario Schlosser: ACA had nothing to do with Oscar's vision"
Founders Fund was featured in a VatorNews article: "Most Well-funded Healthtech Startups and Blue-chip VCs "
Founders Fund was featured in a VatorNews article: "Kevin Hartz becomes a partner at Founders Fund "
Founders Fund was featured in a VatorNews article: "Daily funding roundup - November 18, 2015"
Founders Fund was featured in a VatorNews article: "Daily funding roundup - September 15, 2015"
Founders Fund was featured in a VatorNews article: "Daily funding roundup - July 29, 2015"
Founders Fund was featured in a VatorNews article: "Funding roundup - week ending 3/7/14"
Founders Fund was featured in a VatorNews article: "Founders Fund raises $1 billion for fifth fund"
Founders Fund was featured in a VatorNews article: "Why London lacks a PayPal Mafia of its own"
Founders Fund was featured in a VatorNews article: "Andreessen Horowitz secures $1.5B fund"
Founders Fund was featured in a VatorNews article: "Funding roundup - week ending 01/21/11"